Housing debt is continuing to rise strongly - although not at rates likely to cause the Reserve Bank sleepless nights. The latest figures, collected by the Reserve Bank, show that total household claims - which is mainly mortgage borrowing - increased by a seasonally adjusted 0.6% in January, following rises of the same magnitude in both November and December. However, the annual rate of growth, at 7.5%, is the highest since that recorded for the 12 months to June 2008. Total household claims in January clocked in at $228.508 billion, up from $227.221 billion in December. In terms of just housing borrowing alone, it increased by 7.8% in the 12 months to January - which is the fast annual rate for this figure since July 2008. At the end of January there was $212.965 billion of housing borrowing, up from $211.603 in December. Business borrowing, which has looked quite lumpy in recent months, saw a big surge in January - which tends to bear out some of the positive recent economic indicators that have been coming out. In fact the business borrowing grew by 7.5% in the 12 months to January, its highest annual rate of increase since March 2009. Total business borrowing hit a new high of $90.116 billion, up from $89.246 billion in December and just $83.814 as of January 2015. The down times in global dairy prices have helped to push up levels of agricultural borrowing and there was a further increase of $282 million in agriculture debt in January, pushing the total figure up to a new high of $58.985 billion. However, the rate of growth in the debt has somewhat stabilised in recent months, and having hit an annual growth rate of 9.2% as of September 2015, the 12-month growth rate to January was 8.6%. The Treasury and Government used to say don't worry about house price growth because credit growth is only 1 or 2%. I never accepted that argument and for a time household debt was growing but at inflation. If you look at the housing loan market - its gone from $196.492 billion to $211.603 billion last calendar year - that's 7.7% growth and across any cycle would be considered moderatly strong. So is Treasury now concerned? No, and as they love to point out its no where near what happened in 2003 when it grew at 16.3%. But one thing they never acknowledge is the absolute $ value of housing loan growth we are undergoing. In 2003 the loan market grew $12.478 billion - in 2015 it grew $15.111 billion. Yes inflation yada yada but we still have to own up to the fact that when things have already spirraled to dizzying heights that small percentage increases mean huge actual dollar increases to our household debt levels. One would have thought a prudent thing to do at the beginning of 2015 was pay down some debt. Instead we added $ 15 billion more of it. Who does the prudent thing? Ever? Growing debt 3x faster then GDP is incredibly dumb, but here we are, and we've been doing this for more than a few years now. How much does NZ owe? How much do we owe relative to GDP? Using Interest.co own GDP figures, Q3 2015 was 243.932 Billion with a quarterly growth just under 2 billion. So lets assume $245.5 Billion Nominal GDP as at 31 Dec 2015. You need to stop working as did I when I made a similar assumption back in 1998. Being paid in money which really represents other's debt is just not enough for the time expended in a short finite life. I saw someone else post deposit figures that are a similar size to the loans/mortgages made by banks. A large portion is foreign deposits so we have enough cash to cover a major problem until all the money leaves just prior to a collapse. Given that we are going to have a lot of bad years ahead the current total debt is looking bad. No it is not. Foreign currency deposits held by NZ households are just NZ$3 bln of NZ$152 bln. That's less than 2%. Alright, that's far less that what I thought which is a relief. Not really, its still a huge amount of debt that effectively has no backing but depositors. So total private debt is $376billion but we only have $149billion of depositors money, that does not look good in terms of an OBR event. What else is there shareholder value? firesale asset prices? If all debt disappeared (which is unlikely) there is still a lot of capital in banks. Of course if someone revalues assets during a collapse it would get worse. In fact that happened with the subprime problem. Ratings agencies kept downgrading the credit rating of the financial instruments and ran everything into the ground. If all deposits and bank capital were absorbed then we would end up like Argentina. Presumably these are pretty successful numbers from the point of view of the banks - representative of highly profitable, bonus-paying, career-enhancing business decisions. As long as New Zealanders are willing and able to export the billions in interest, fees, penalties, etc, all's well. The will is obviously there. It's been certainly easy and well-rewarded to pour more and more money into, and trade, houses. And capital gains on land have been a major profit focus in farming too. With enough people pocketing the gains, on housing and land, it almost looks like a first world economy. So far as the ability goes - to keep bringing in the money and shipping the bankers' dues offshore - that's where immigration and foreign investment policies play their part. There's plenty more money available for New Zealand houses, businesses and associated residency. No problems there. If New Zealand farmers find the going too difficult, there's also almost no limit to willing, wealthy international buyers. It's just foreign investment after all, and that's to be encouraged. With numbers like these, and the policies to support them, New Zealand must be a pretty good place to be in banking. The Chinese banks arriving must think so too. Lets not forget buyers tours. Ah yes, Henry, and these ones hosted by those committed business partners at ASB. And as our Prime Minister might add, having these potential buyers nosing round the farms is another vote of confidence in the New Zealand economy. Business debt has grown quite significantly......I wonder how much of that debt is tied to the building industry. How much NZ owes is only one side and to get balance you need to look at the assets and savings etc. Assets are only worth anything when they are realised. So if there is a farming and housing price collapse (and I think there will be of anything up to 75%) then you will find the debt is still there in full with full recourse. Not sure if anyone on this site watched Leonardo Decaprio's acceptance speech the other night. But he raised the point that it is 'Politics of greed' that are preventing right action occurring by leaders in response to climate change. I thought at the time, that term fits perfectly to our response as a Nation towards our so called 'Housing Crisis'. It would make a good book cover right (in about 2020) when the dust has settled. 'New Zealand's Housing Crisis and its Politics of Greed'. We all know it's wrong (the rules, the regulations, the culture), but hey 'I might get another couple of years of capital gains' so lets not worry too much about it. Good job New Zealand!! Thankfully Steven your thoughts aren't wide spread across NZ. Sit back, we'll get to see who's right. so you dont agree with which bit? (all?) and OK why not? PS even if my thoughts/opinion were widespread few would/will accept it. From my point if view the more ppl who keep playing musical chairs gives me more time to sit down. Whether you forget or just don't have sufficient experience but the fact is most asset types can and do produce income............how the heck do you think people arrive at a value on assets when purchasing them? The basics of food production will continue unless you are saying populations should decrease ? No I do not, but then it is only my opinion. Mind you in saying that Nicole Foss I think said 90% so a re-think? if anything but make me head more to that number. a) housing and farm's value is a bubble based on capital gains, and not income, that is probably at least x2 or x3 its BAU value. b) the farm's value is based on its oil based output so its residual value based on 1/3rd or 1/4 its output without oil means its massively over-priced. Neither of the above mean a farm does not still produce food or a house is somewhere to live, I agree, just that the prices given for them mean huge capital losses for the holder of the asset and their banker(s). c)The "fast" is going to be way quicker than it is possible to adjust to. There will not be years, well not unless you started to clear debt like I started to 8 years ago (but I am not as yet clear of it). On top of that negative equity means that the banks look to go insolvent which means substantial capital "theft" so just where you think those with better balance sheets will be is "interesting". aka the Great Depression? how much of the rich's wealth is actual and not debt under-written? As a seperate argument/thread. Populations should in fact will decrease this is inevitable IMHO. The world once oil-less can feed at most 2billion and we will be oil less by 2050, when 9billion or so is expected to be on theplanet. So how that is going to unfold? will be interesting to say the least. Just as an example I started to write a short essay on the output of a non-fossil fueled agricultural system v with looking at only NZ. a) NZ is expected to be 5million people. b) NZ today currently feeds 20million people using fossil fuels to do so. c) By 2050 there will be no oil as such. Take that 20million then and divide it by 3 means we can feed 6.6million. e) Pre WW2 mechinisation we used horses and 25% of what a farm produced never left the farm gate, horses ate it. putting those cuts in and that 6.6million now looks more like 3~4million, --edit-- hence I am rather worried. So prove me wrong. and NZ by the way is in better shape than the UK. The Q is how do we keep ppl out? the EU cannot keep a few million Syrians out. Hopefully some talented farmer will figure how hitch their Tesla to the plough...she,ll be right. so we bet on "hope"? yeah that sounds wise, or maybe not. That is the equivalent of about 6 million horses. Try getting that to work as a motion force though. Also that capacity is mostly dependant on hydro the lakes of which are finite so if/as we swap to using more and more electricity the growing risk will be the lakes will run dry, even before we consider the CC factor. Pretty big assumption to expect that no viable alternative to fossil fuels will eventuate. Human history is that often the most and greatest technological advances occur when the pressure is highest. the fact that no viable alternative is already on offer only suggests that there isn't enough pressure yet. The problem is that farm values were tied to the $8.40 dairy payout, and now that economists are saying that around $4 is the new normal, farm values theoretically need to more than halve. Even then, in some areas farm prices were hugely inflated from being valued on actual production, some farms in the central Waikato have already lost 30%+ of their value according to rural REAs. Then here's a great business proposition, steven - You should sell futures in housing. The idea is that you promise that in - let's say - ten years' time, you will sell a house that is currently valued at $1 million for $900,000 (and your customers promise that they will buy it at that price). Given that prices are going to collapse by 75%, you will not have any difficulty, in 2026, finding a house owner who will be only too delighted to sell you his house (currently valued at $1 million) for $300,000, so you'll make a huge profit. What's not to like? Indeed, short selling, so betting on the collapse, the thing is will anyone be around to pay? LOL, well there you go. "cant lose money on property mate, it always goes up!" NB The ppl buying tulips also though that I assume. That 75% is a mean or central guess by the way 90% or 60% is min and max. Well I assume you are in your 50s or younger so you will get to see it I am 99% sure, but its only my opinion, mate!!!! I love the tulip example. Tulips have so much in common with houses... Also the "property always goes up" quote. I don't know any property investors that believe this. So based on these arguments steven I'm very comfortable your 75% crash prediction will be 100% wrong. I would suggest they are more closely related than common sense is to Auckland property investors. The greed, stupidity and blindness to reality behind both look the same to me. Just consider that both were based on possessing an asset for a timespan without actually adding value or making a good. "At the peak of tulip mania, in March 1637, some single tulip bulbs sold for more than 10 times the annual income of a skilled craftsman." What are houses going for these days? 9+ times? yes bound to go well. another interesting comment, "Wagon of Fools by Hendrik Gerritsz Pot, 1637. Followed by Haarlem weavers who have abandoned their looms, blown by the wind and flying a flag emblazoned with tulips, Flora, goddess of flowers, her arms laden with tulips, rides to their destruction in the sea along with tipplers, money changers and the two-faced goddess Fortuna." A house is a genuine asset that provides both shelter and a potential source of income. A tulip is neither of these things. I don't think the comparison strengthens your argument at all. However my own opinion is now that no matter what evidence you put before some people the only way they will learn is from their own actual bad experience/mistakes. Though from what I can see some not even that ie they will blame some other "force" for the failure and not themselves. The last such event in the very recent past was the gold bug mania when gold didnt go to $3000 even $5000 an ounce, but in fact collasped to $1200 but according tot hem the Govn/RB/someone else, stopped it by fiddling/lying/falsifying data/evidence/laws. There is currently $5.95 billion in value of works relating to currently issued building consents. A large proportion of that will be financed. There will be a surge in active consents in the next 4+ months based on the volume of design work that's been crossing my desk. Even if there's $7 or $8 billion of construction work happening this year it's only a small amount relative to the total debt. Thankyou for displaying the ugly truth quality guy. Private debt growth once again exceed income (gdp) growth. Yet another private sector deficit. The vested interests never discuss or reveal this decades-long deterioration of course. "Relative to the rest of the world NZ is doing really well"
The fact that we lost money to achieve it is conveniently left out. The inspiration for my modification of the quantity theory of money was when I read that GDP is simply a measurement of the right side of the equation, Price multiplied by Quantity. Money, or debt, is the left side, multiplied by the velocity. When you start to look at the numbers there is a giant mismatch, which is actually predictable once you get you head around it. GDP, or the CPI, are officially both growing less than the M3 money supply, which is chugging along happily at 8%. I would contend that we don't really know the ability of the productive side of our economy to clear the debt. Actually I have stated before there are only two options going forward, hyperinflation or debt (apparent wealth) destruction. When and how are the question, there is still a little headroom yet. Well put and I agree. As always when doing control you have to have an accurate and true measurement or any actions you take will not work too well. So some ppl look at GDP as accurate and true one stop shop yet there is so much circumstantial evidence it isnt that I have to question it. So I also dont think it truly measures "real production" now but some other quasi entity that is la la land stuff, which is leading us astray. I totally agree with that last paragraph ie ability to clear but that is also though a BAU grow for ever model and we clearly with peak oil and demographics past that. As for "hyperinflation or debt (apparent wealth) destruction." yes I have been a bit on the fence as I too see both. Now mind I am not sure its "or" I think it will be "and" So ultimately I think we'll see indeed massive asset price destruction in most assets and that is most peoples wealth. The Q is what is the interim? I think we see it now, "money" is buying any and all assets that are perceived as holding some value / return. So we see crazy hyper-inflation in some assets especially Govn granted monopolies but clear deflation in the productive economy if only due to its over-capacity. "Little headroom" not sure its much, maybe as long as we have this oil glut, yes, so a few years. Hi, Govn debt is "reasonable". The kicker would be the private debt so a housing market collapse, farm and business keel over as well would be massive. Its hard to see how let alone if "our" govn should bail this stupidity out. Talking of stupidity it is NOT a Government that BAILS out debt!...Who do you think pays the Government debt?? The tax payer, as I keep saying, hence the quotes "our". The point is there will be an expectation for the tax payer to bail out private debt which is simply huge. The notion that the RBNZ would still be sleeping because the rate of debt aggregation is not high is simply non sensical . The bulk or two thirds of the debt sits upon Auckland housing in the smallest concentrated group of people ever, the rate of growth given the inflation rate is possibly worse than 2007 . The regional economy of Auckland is dependent on that debt increasing . If Auckland housing gives, it is game over , the dominoes will fall .The Grand Old Duke of Auckland needs to march to the top of the hill. If it takes lower interest rates , subsidies , kiwisaver withdrawals ,bank giveaways , Indian students , an onslaught of media housing drivel it does not matter. Generally speaking potential wives are more interested in your quality of character, rather than how many houses you own in Auckland. Unless of course you intend to attract a wife via less ordinary means (such as internet and credit card). You are right, women do look for quality of character and an important quality is the ability to acquire assets. I believe this has been scientifically proven. I think the assets they were referring to were - finding or building a sustainable shelter, close to flowing fresh water, ability to have fire, harvest food. (No cash cards allowed). You are a wonderful comic character, in the vein of the great Charles Pooter. I'm just glad that you have finally gotten the opportunity to use that line Kakapo. Seriously though what does a commenter like Steven have to offer someone seeking to increase their wealth in the here and now rather than waiting for some Mad Max style dystopian future where a rental will yield an annual 50% net return? In a word balance, hopefully the realisation that there are two sides to the story, the profit ad the risk of impact. So the greedy ppl who think they can get wealthly for little work but just be holding an asset that is appreciating in capital value and not income has proven to be un-sustainable, aka the Great Depression. Now if they only burned themselves I would give a damn, but as a tax payer their failure will land on me to pay. So property gambling isnt a business, it isnt making a good. I am all for sustainable businesses as that provides jobs and improves quality of life but they take effort and it seems its just too hard for many today, hence we see the economy is a growing mess. yep, there is short term prostitution where you pay up front for 1/2 an hour? and long term prostitution where you pay through the nose for years if not decades. So as we can see there are some ppl prepared to pay through the nose based for a "trophy wife" who isnt their peer, partner and their back stop, all I can say to them is, good luck with that. It doesnt matter what the asset is worth to you, its what its worth or affordable to other people. That is the very point I am making and one that you are unable it seems to comprehend (or do not wish to). So your model is inadequate as you are not looking at the inputs and outputs in a realistic manner. As an example sure today those assets give you a $2000 a week income. What happens if ppl cannot pay it any more? or pay more as you desire? They move out to a cheaper spot and you have no income, you then have to take someone who is only prepared to pay $1500 (say), your asset value is now over-priced. Any astute buyer isnt going to pay you what you think its worth, but 75% of it or even less if he/she thinks the market is going to shrink more. Now if you have a 90% mortgage, well you are screwed. This is exactly what has been happening in other sectors and countries. "Maybe I could attract a wife with this asset?" well if your writing character is a reflection of your personality I'd guess its about the only option you have left. Your ignore relativities, also the person attack shows you for who you are. I actually surprised people still take the time to respond to you. I have yet to see you moderate your position regardless of the debate on anything over the years. Nah, I like Steven's input. While we occasionally disagree, we can usually substantiate our positions. He has taught me so much here (as have others) and sometimes inane, frivolous comments deserve an inane and frivolous response. There are too many people with clearly vested interests trying to distort the debate, and more than a few tend to brag as well. I'd moderate / change my mind based on evidence, and data show me some. Otherwise I will stick with the math, and thermodynamics as my guiding light. I actually point out the relatives in the meantime this points at asset value destruction. --edit-- In some cases relative doesn't matter as even if its relatively cheaper, if it cannot be afforded it will not be bought. oh and in terms of "moderate" that doesnt mean move half way to the others extreme. So when someone holds such an far out position on a subject then frankly me moving a little from (say) centrist in their direction will obviously not satisfy the holder of the outlying position let alone it may not make "sense". Zach is typical of investors. They love talking about what their property is worth and what it is returning. Really it is only worth what someone will pay for it on a given day. Auckland down 8.2% since October and likely to keep falling. I wonder whether he has factored that in to his private valuations. There is an interesting comment / video on Trump, I will see if i can find it sums things up well. The streets around my neighborhood are full of new cars with plates starting with J - looks like plenty of people put a new car "on the house" for Christmas. Ive said it before and Ill say it here again....In the swimming pool industry, it is the busiest it has ever been, driven by Auckland. My business has grown close to 50% a year the last two years on the back of it. Guys that built 60 pools a year are doing 100. One who was doing 130 is now doing 300 ish. Either I missed the memo on extortionate pay rises, or theres a lot of pools with a 60k price tag that will cost 100k plus once the bank gets its share. Personally I'm squirreling away as many nuts as I can. It is completely unsustainable. A lot of households have very high double incomes with bonuses and nice company cars. 60K doesn't sound like that much. A new kitchen and bathroom will easily cost that much. No, not "a lot", but more like the top few % of people. Trouble is just like their tax base their spending doesn't have a big impact on the economy overall. The rump of the middle income earners and the less well off have not been seeing too many pay increases for a few years now. This means effectively less to spend each year for a lot of people and hence why we see CPI has declined to close to zero. Steven mentions a potential 75% collapse in Asset prices should economic armageddon arrive to our underpopulated, clean green food producing nation. One thing is that we as a country will be able to feed ourselves. we are lucky. We are isolated from major world populations and geo-political areas, so we are lucky there too. So all financial items aside, we still have that productive ability. We are better than most countries in that respect. Financial related matters? We are not so lucky. cost of housing is far higher than the long term average of 3 x incomes. 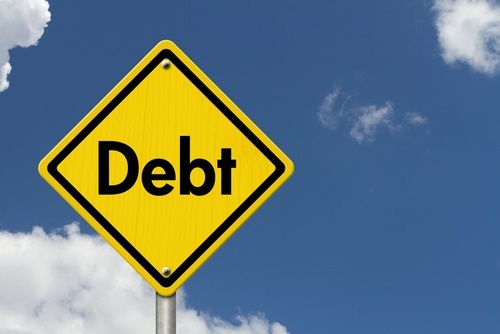 Private debt is often overlooked in a financial crisis and only public debt is looked at. But they both have the same impact. The "right" will say oh but its private debt and this must be being borrowed for a long term business profit. However that does not factor in speculation. All we need is an interest rate shock and its all over rover. Many on this thread think 75% drop in all asset prices is unrealistic. Well, all I say to that is, randomly telephone any household in Tokoyo TODAY. Their house prices have fallen 60% since their highs in 1989 and 27years later THEY HAVE STILL NOT RECOVERED. The Zombie economy who didnt let the reset happen. Deflation is a reset and its a good thing in the long term. If you have no reset you have a Japanese situation which means your economy will NEVER EVER GROW. Worldwide - it is impossible for the world as a whole to continue as JAPAN has. Japan was only able to do it because they were able to sell to the rest of the world. Germany - absolute DEMOGRAPHIC CLIFF is coming. Short Germany! An they are holding up the EU. Falling world growth - falling exports - falling earnings - downward PE revisions due in world stockmarkets. Expect a major correct before the end of this year. The stock market Bubble is the next to POP. Remaining bubbles to POP - DEBT Bubble, Property Bubble. Risk worldwide is understated. Interest rates must rise following the debt bubble popping. That will flow on to property, bank liquidity and bail-ins via RBNZ's OBR regulations. In the 1930's. 40% of the money supply was Gold and Silver which could not evaporate. In the US, you needed 50% deposit on a house and you had a 5yr mortgage. Nowadays, all money is CREDIT. Houses are inflated, deposit rates are low and mortgage terms are longer. Most people not exposed to sharemarket in the 1930's. Most people knew how to grow food and make things last and even repair them if they broke down. Neighbours helped each other. Money printing ocurred in the 1920's - that created a bubble. Hmm sounds familiar. Worldwide - Over 13Trillion has been printed by Governments since 2008. Banks have printed money via CREDIT and this value I don't have. One telling factor is - Deflation is trying naturally to ocurr - demographics and technological changes are pushing this. Credit creation and money printing is doing its best to prevent deflation but it is LOSING. No amount of money printing will work. It is impossible to print the amount of money that will evapourate in a deflationary event. deflation is likely to be a 3 year event, at which point the system will reset at a much lower level. Gold and Silver will have their day but they will not be immune. Sovereign debt crisis will be a major event as deflation reaches its depths. The EU will not survive this. If the NATS go out and borrow more money to prop up the economy when this all starts it will set us back a generation. A reset needs to happen. But I think we all know what the currency trader will do. He of all people should know better. Um, "8><---- food producing nation. One thing is that we as a country will be able to feed ourselves. we are lucky. We are isolated from major world populations and geo-political areas, so we are lucky there too. So all financial items aside, we still have that productive ability. We are better than most countries in that respect." I also dissect in an earlier post that "as a country will be able to feed ourselves" is questionable. So by 2050 we will apparently be 5million kiwis (well I will be dead and buried, but not my kids). Our food production is based on the 1950s~60s "green revolution" that trebled using fossil fuels" but oil is gone by 2050. That means we can feed 6.6million not 20million, so far OK..
Then there is climate change and the expectations is that by 2050 the losses caused by CC will be in the order of 25% of food production. So that 6.6million is now 4.95million, oopsie balanced on a knife edge. Now we have to replace diesel with another power source. if we use horses 25% of our output goes on feeding them so we are now down to, 3.7million, less than our population today, oh bugger. Now this is a back of a fag packet calculation but its substantial enough to concern me. I'd love to see more modern academic level papers on this but I cannot find much. ie few seem to be thinking along these lines. Yes its going to be interesting eh? I think you will find energy sources will be no concern for production. As always, the whole thing revolves around money. Once the revenue drops off from oil, they will roll out another energy source. Hydrogen - interesting. Lithium/graphite electrics interesting. The latest i read was warren buffet going all in on a metal compound technology based on iron ore (very plentiful) but apparently that is huge potential but currently high cost, hence we probably wont see anything like that for another generation. And we've also all heard stories of oil companies buying out inventors who run their car on water. I've also heard an old story (over 50yrs old) whereby people back in the day distilled alcohol and used that to run cars on (modified ofcourse) but if that was a potential 50yrs ago, surely its something to fall back on. Other considerations - building products with solar cells built in which is something to watch I think, and ofcourse you can also google and find out a how to build a windmill at home but thats another story. As regards to Oil, the permian basin in USA has shale oil and gas - predictions I have heard is they have over 100yrs supply just there and I was very surprised to hear yesterday alot remaining companies there which havent gone bankrupt in the oil bust can produce at a cost of US$26 per barrel.